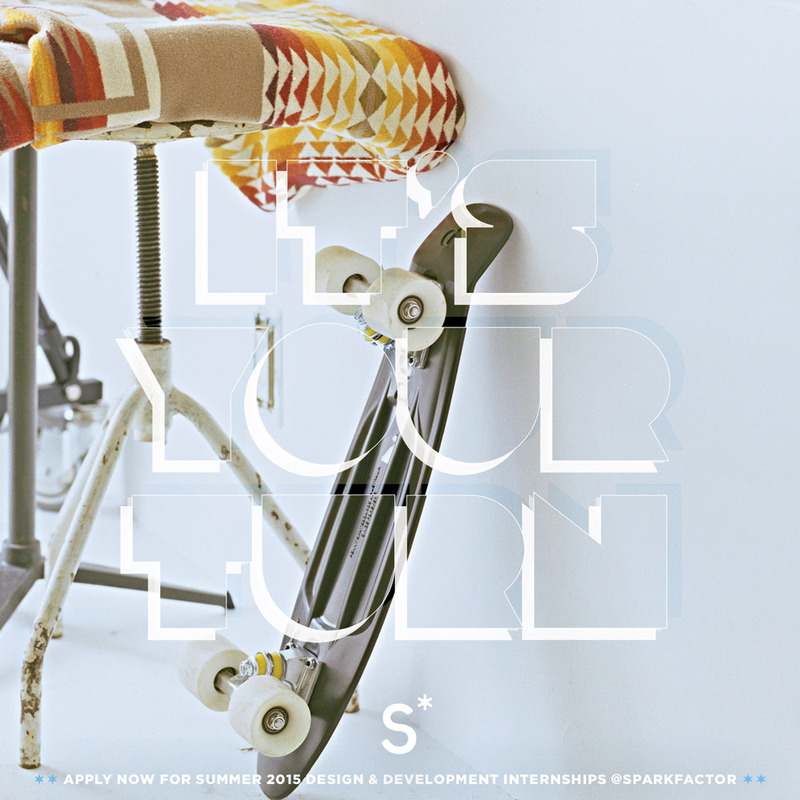 Sparkfactor is currently accepting design and development internship applications. We’re looking for young guns with talent looking for one-on-one mentorship, industry experience, and the chance to dig into big creative challenges. Applicants should be upperclassmen or graduate students currently enrolled in a 4-year program providing course credit for internships.